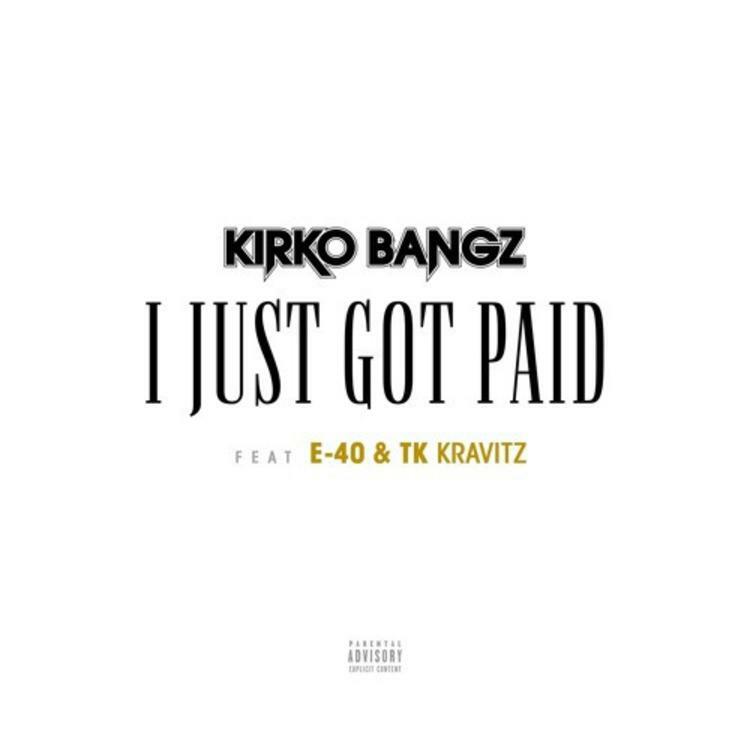 Kirko Bangz teams up with E-40 and TK Kravitz on his new single, "I Just Got Paid." Kirko Bangz typically holds it down for the South, both in his Houston-influenced sound and his collaborations. However today he takes things to the West Coast, with a feature from Bay Area OG E-40 and a sound that is also more Bay than H-Town. The production definitely has hyphy influences, with a feel good hook that could easily pass as a 'West Coast' summertime anthem if the listener didn't know any better. Kirko hasn't quite been able to recapture the success of his single "Drank In My Cup" but with the extremely radio-friendly nature of "I Just Got Paid," this one could definitely do it. What do you think? We're still waiting on that debut album from Kirko too, if you can believe it...the release of this new single is a good sign.